New music from The Jerrys! 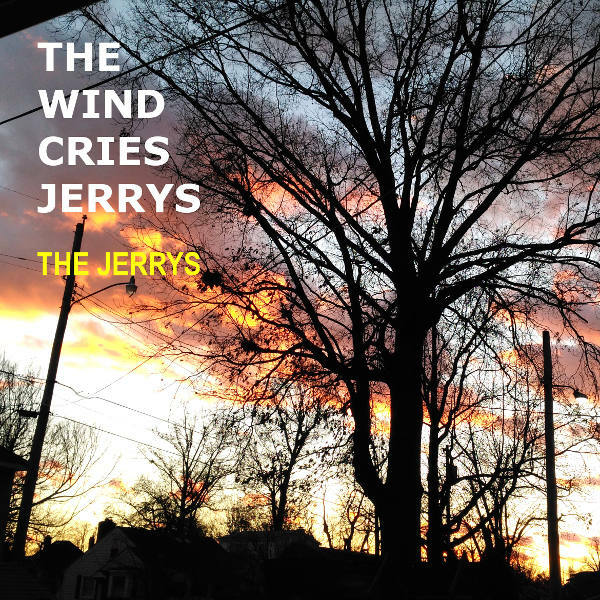 The Wind Cries Jerrys, a six-song EP containing all new music from The Jerrys, is now available on CD as well as downloads and streaming. From power pop (“Ms Wonderful,” “Chicago USA,” “Anna Marie”) to uke-pop (“Another Glorious Day”) to strummy goodness (“Doo-Doo-Doo-Doo”) to who-knows-what (“I Think About You”), it’s all here. Listeners compare The Jerrys to The Beatles, Boyce and Hart, The Who, Matthew Sweet, Tommy Keene, and The Shoes. Several friends helped out on various tracks, and I am grateful to Robert Porche (drums), Jim Losby (bass guitar), and John Oakley (lead guitar) for sharing their talents. They’re awesome. As of this date, full digital distribution (iTunes, Spotify, etc) is still a few days away, but you can head over to CD Baby or the band website to buy the CD or download the EP or individual tracks. Get the latest from The Jerrys!